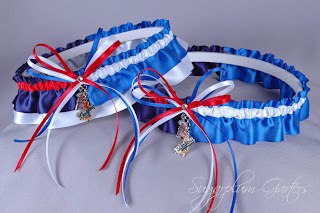 My custom house divided wedding garters are some of my favorites to sew, mainly because no two are ever alike, but also because I'm always left wondering how couples manage to cope with some major in-house sport rivalries! 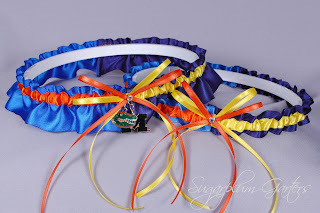 My original house divided garter set is pictured below. Featuring charms on both the keepsake and toss garters, the garter set allows the bride and groom as well as the lucky bachelor who catches the garter to keep a nice memento from the big day. 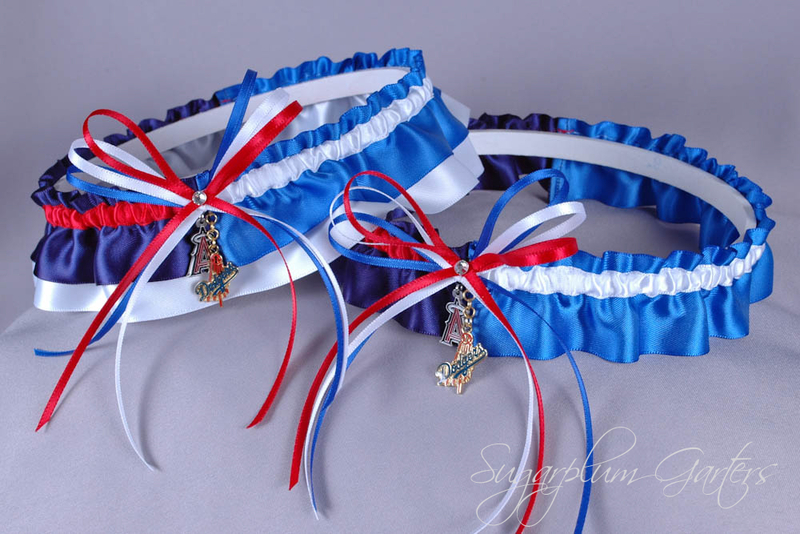 I recently decided to design a simpler version of my house divided garter set, perfect for the bride who is looking for a more budget-friendly garter set and doesn't need charms on her toss garter. It's available for purchase on my website here. Which house divided set would you select for your wedding day? What teams would be featured on it?